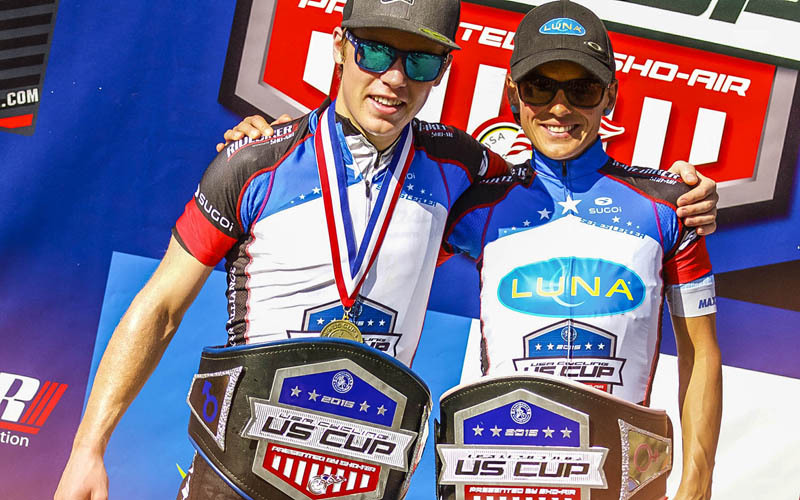 Katerina Nash (Luna Pro Team) and Anton Cooper (Cannondale Factory Racing) were the winners at Round 2 of the USA Cycling US Cup Pro Series presented by Cannondale, at Southridge Park in Fontana City, California. A fast start lap created a huge gap on the first lap of the elite women's race, which was driven by the Luna Pro Team as Pendrel, Nash and Gould, along with Round 1 winner Batty, set the early high tempo. 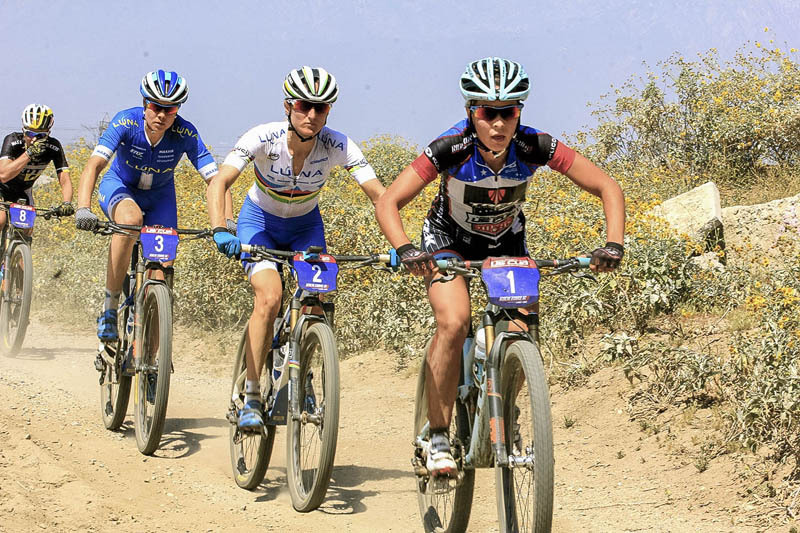 When the pace leveled off after the first climb, these front leaders left a large gap to Chloe Woodruff (Team Stan's NoTubes-Niner) and Larissa Connors (Ridebiker Alliance). An easing on the second lap of five allowed Connors and Woodruff to rejoin the leaders on the day's main climb, only for Pendrel to put in a vicious attack, forcing Batty to respond. Trying to put Batty under pressure, the end of the second lap saw Pendrel continuing her attacks on Batty, with teammate Gould holding on, while Woodruff and Nash were chasing further back. Just like on the first lap, the lead group eased up on the climb, allowing the lead group to grow back to eight. The next two laps resulted in the further solidifying of the front group. Lap three featured a selection made by Gould on the main descent with Batty and Pendrel. Nash clawed her way back to the front group at the end of the third lap, only to take the lead of the race on the fourth time up the climb. Another fierce attack by Pendrel was chased down by Batty and you got the sense that the team tactics were taking their toll on the Canadian Trek rider. At the end of the fourth lap, Batty, who was sitting second behind Nash, had some trouble on one of the dusty drops and went down, which proved to be the decisive moment. The crash wasn't enough to cause any serious damage, but it also held up Gould and Pendrel behind Batty, and enabled Nash to get a gap big enough to defend until the finish. Batty led the chase, with Nash's team mates sitting on, but couldn't make any headway. Gould would take the sprint for second ahead of Batty and Pendrel, with Erin Huck (Scott 3Rox) rounding out the podium just behind in fifth. "I was unaware of what was going on. I was up front and I got a gap, so I assumed there was a problem," said Nash. "I fully expected Emily to come back, but once I got the gap I pinned it all the way until the end. 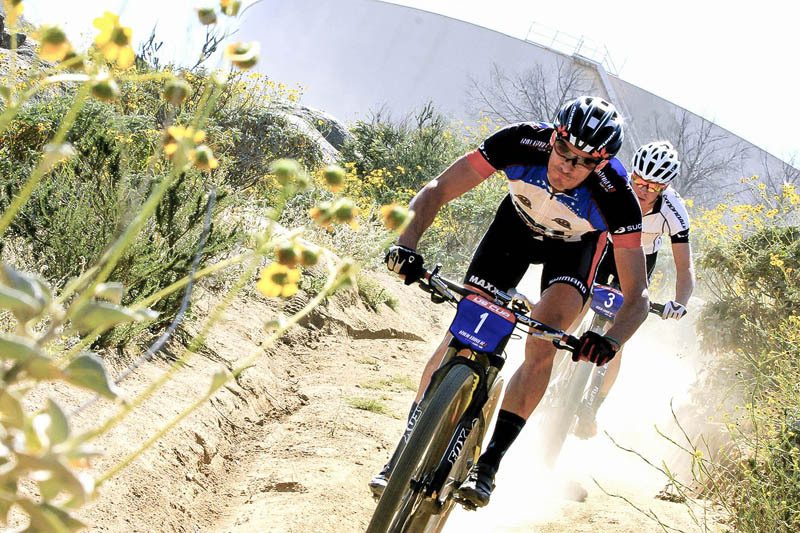 I used my downhill skills and made gravity work for me." "It was a total battle out there, trying to sit second wheel," said Batty. "There were three of them so it would've been pretty disappointing if they didn't get it." The men raced six laps of the dusty and rocky course. 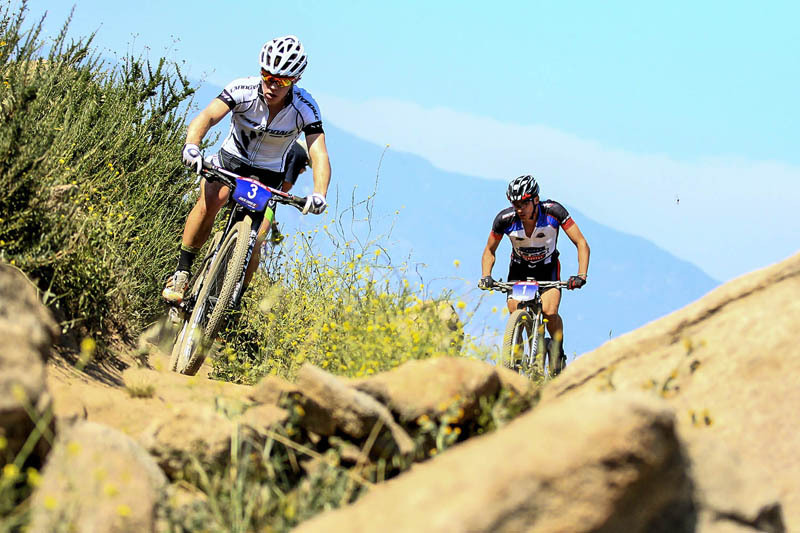 The 120-strong field kicked up the fine dust on the trail as they strung out in a sprint for the holeshot to the first singletrack climb. In a sign of his form, Cannondale's Kiwi Anton Cooper took the lead. Series leader Raphael Gagne (Rocky Mountain Bicycles) took over shortly afterward, with Geoff Kabush (Scott-3Rox) second wheel. Hitting the pavement first was Gagne, followed by Kabush, Cooper, Fontana (both Cannondale Factory Racing), Wells (Specialized Factory Racing), Ettinger (Sho-Air/Cannondale) and Italian Andrea Tiberi (FRM Factory). Fontana dabbed on a tricky spot, creating a gap to third place that didn't last long enough to cause any major drama. Kabush would be the next to allow the early pace get the best of him, as he too hit the dirt. Six riders would come together toward the end of the first lap: Gagne, Cooper, Kabush, Wells, Stephen Ettinger (Sho-Air/Cannondale) and Fontana. Tiberi, Fontana and teammate Manuel Fumic joined the lead group on the second time up the road climb, making a lead group of nine, chased by a courageous Max Plaxton (Sho-Air/Cannondale), who was battling a gruesome blister on his foot, from new shoes. Cooper would be the first to put in a significant attack on the third lap. Gagne bridged back up, followed by Tiberi. On lap four, Tiberi dropped from the front group as Cooper and Gagne pulled away on the rolling rocky section. The leaders showed no signs of tiring, as the fourth lap was the fastest of the race to that point. The two leaders continued to pull away, followed by Cooper's teammates Fumic and Fontana, with Tiberi, Wells and Mantecon each trying to chase back on. The two leaders held their ground for the remainder of the race, with Fontana and Fumic solidifying their podium spots, but content to let their young teammate fight it out for the win. Cooper's decisive attack came midway through the last lap as he distanced himself on the final time up the asphalt climb. 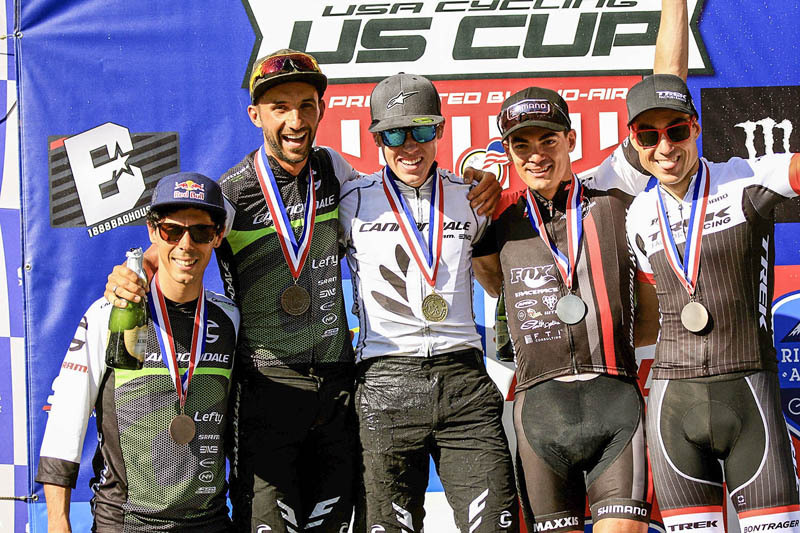 Cooper held and then extended his lead through the rolling and twisty singletrack to win by eleven seconds over Gagne, with Fumic and Fontana preceding Mantecon. "What a way to finish off this first part of the season," said Cooper at the finish. "And after last week, it's great to come away with the win. Having Manny and Marco on the podium with me makes it even better. Now, I head home and start ramping up for the World Cup." "Good job to Anton. 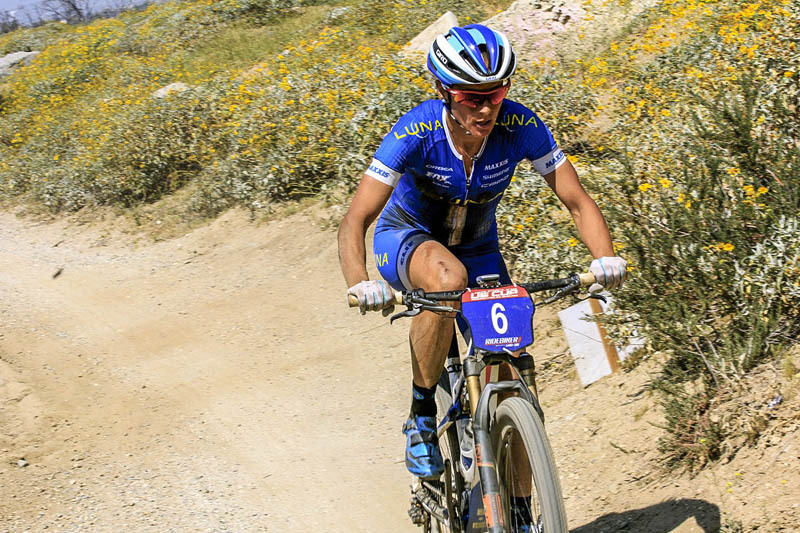 He's a super-tough guy," said Gagne at the finish. "I felt stronger today than last week, so I'm real happy with my race. The course was great, I really liked it." 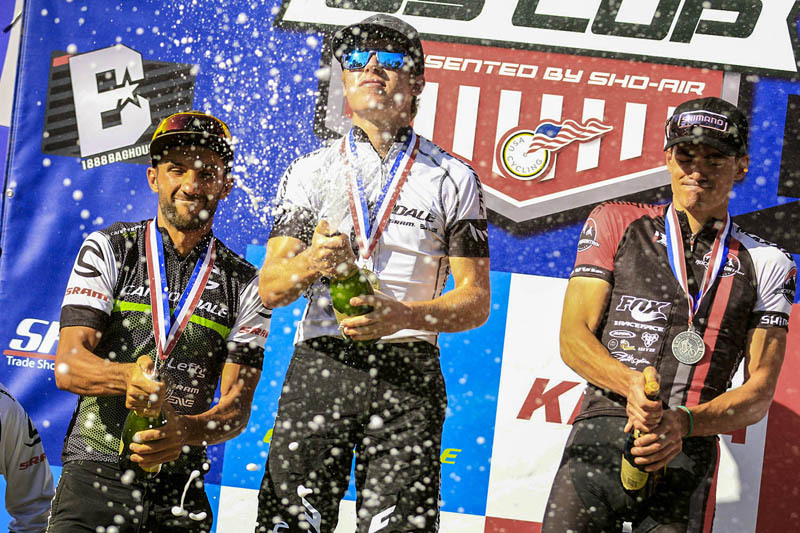 After round two of the USA Cycling US Cup presented by Cannondale series, Cooper takes over the lead ahead of Gagne by virtue of the higher points on offer at the HC race, while Nash leads the womens' series ahead of Batty. 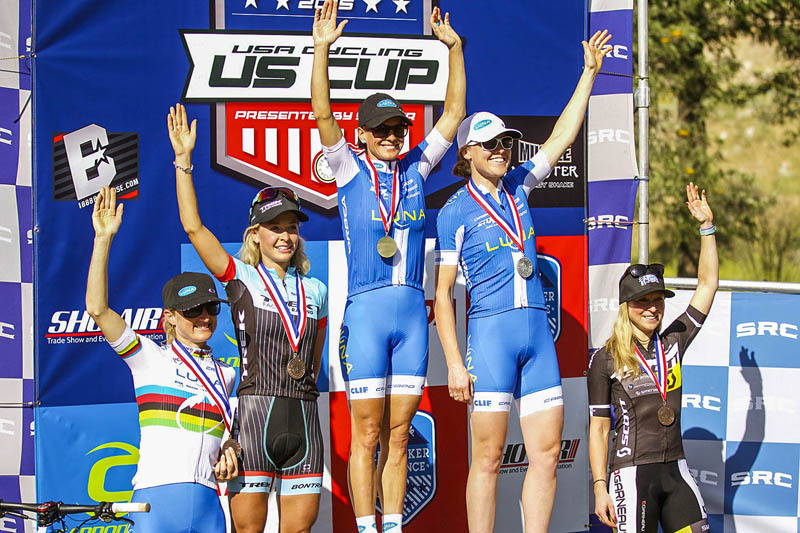 The USA Cycling US Cup presented by Sho-Air Cycling Group series will continue with round 3, a UCI Category HC race, with a return to Bonelli Park in San Dimas, California on Saturday, April 11th.